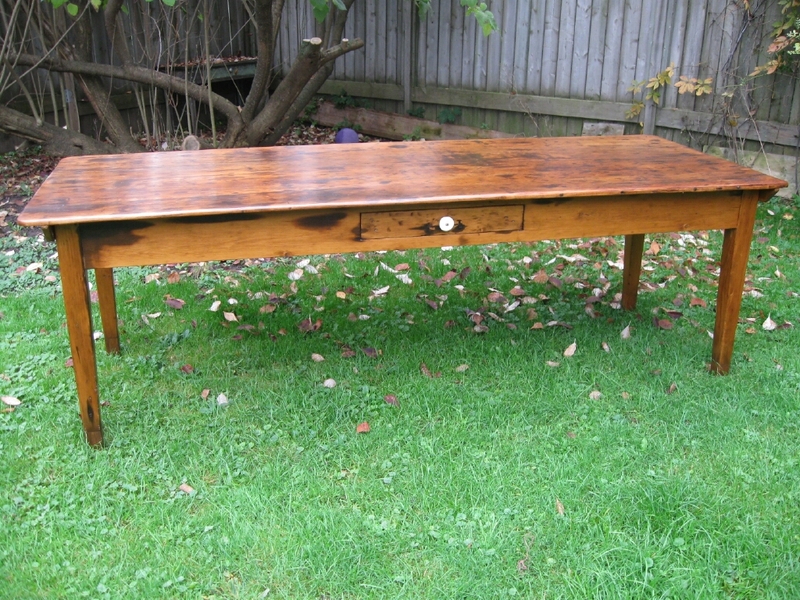 Hard to find large pine harvest table that measures 7 foot 9 inches long by 36 inches wide out of South Western Ontario. 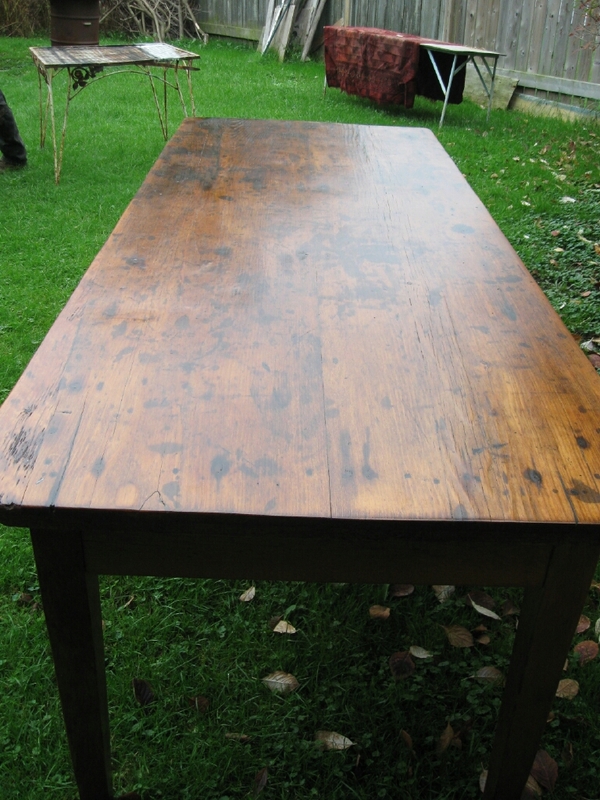 This table has a centre drawer with a two board top and a tapered leg. Circa 1870.